A shortage of food is being intentionally staged around the world. Apparently, if we resist the theft and seizure of food production and supply by bio-pirates and facilitated by government puppets, we will be intentionally starved into submission. Threats of the food shortage are constantly launched into “lame stream media” as a warning to the rest of us that we had better comply or face the fate of those poorer nations where millions are suffering from famine or death from lack of food. Somehow this scenario is in conflict with the PR propaganda of bio-pirates who claim their contaminated, harmful, genetically modified creations are the answer to the worlds food needs. Claiming their Frankenfoods can somehow alleviate famine and hunger, these predators have bought and paid their way through one government after another as agricultural land is stolen, farmers displaced, and local food production is eradicated in favor of global corporate food control. 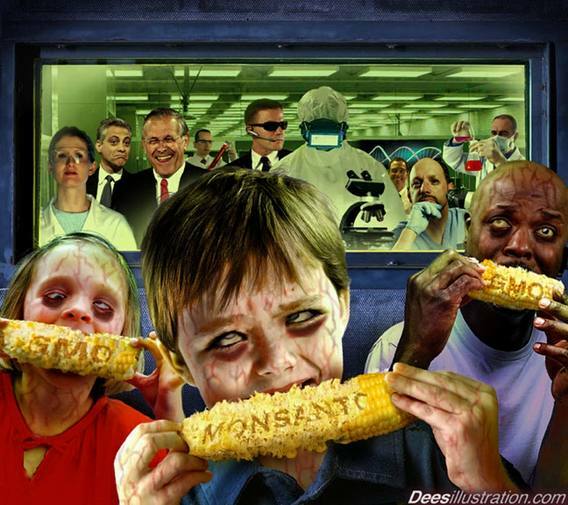 The problem is this: even with all the gmo seeds and crops, now comprising an estimated 70% of global production, and even with the constant tampering with animal dna and cloning, more of the worlds population is now suffering from a shortage of food or maybe a better description would be suffering from the withholding of food. So where is this benefit from handing global food control over to corporate profiteers? It seems the only benefit is monetary and that is enjoyed only by corporations and governments who stuff their pockets while millions go hungry. Looking at the data, it appears that gmo, dna tampering and cloning have decreased the global food supply to such an extent that the entire globe is now facing a food shortage. This has to be so…..how else could we be facing a global food crisis when bio-pirates have been allowed such latitude and preferential treatment by governments’ world wide, while promising they could end world hunger? Where is all this abundance of food claimed by these multi-national pirate corporations that would somehow magically and mysteriously appear if only they were allowed to control all the processes? It appears evident that all the promises of increased food production from unnatural processes and unnecessary tampering with seeds, animals, poultry and even fish has no basis in fact. In fact, the only plausible reason that makes any sense as to why any of this has been allowed is profit and control. What is the use of producing 20% more corn if the nutritional value is less than half of traditional corn crops? Food isn’t just about bulk or quantity, it has to be nutritious enough to sustain us. Factory farming, courtesy of subsidies and protection by USDA/FDA and preferential legislation by those wonderful folks in the District of Criminals, have created an environmental disaster not only for the animals but for land and water supplies. Add the recent theft of food production and supply courtesy of “Dirty Harry” Reid with his underhanded and corrupt passage of S.510 (S2751) the fake food safety bill; a bill which had nothing to do with food safety and was instead an all out assault on family farms and ranches meant to make continuing in agriculture untenable for anyone other than multi-national corporations and a bill which will force into export much of what is produced here in the US, and the stage is set for the intentional creation of a food shortage here at home. None of this is accidental. One result of factory farming is of course the EnviroPig™. We never needed this pig before factory farming, and the idea that now we should accept this Frankenstein creation made from e-coli and mouse genes being inserted into normal pig genes should be sending up the red flags. Supposedly this pig is needed to reduce the amount of phosphates in the mountainous manure piles; the result of cramming hundreds or thousands of animals into small spaces. What did these factory farming corporate geniuses think was going to happen? Did they even care? No.
. . . The most chilling of industrialized agricultures progress traps may be the Enviro-pig. These pigs are being raised in isolation at the University of Guelph in hopes that they will be approved for human consumption. The problem Enviro-pigs are supposed to solve is water pollution from hog manure. Due to the latest craze in inhumane treatment of pigs: raising tens of thousands of animals in single barns— indoors for their whole lives in cages over metal slotted floors—a new water pollution threat has been created. Liquid hog manure in the millions of gallons is being created in these mega-hog factories across Canada. The ‘disposal method’ is to spray the hog manure on farm fields as fertilizer. But the liquid hog manure is rich in phosphorus. The over-fertilizing effect of this manure in water courses causes eutrophication, choking the life out of lakes and rivers. In every instance where genetic modification is present, no safeguards have been established, no control studies have been done to make sure these Frankenstein creations don’t escape and invade natural lands, crops and animals. And in every instance they do escape, and I cannot for one instance think or believe that this is coincidental, incidental or accidental. Even the EnviroPig™ has been allowed to escape and no one is sure if any of it ended up in the food supply. That’s just how dedicated all these fine corporations and government agencies are……genetically altered pigs escape and no one seems concerned about whether or not they got into the food chain. No tests or studies have been completed to assess the safety of these animals. In addition, our judicial system, a term which is really an oxymoron, has repeatedly held private property owners liable for the unwanted and most times unknown invasion of gmo plants onto private property. Now, a rational person would quickly deduce that the corporation who failed to control what is in reality an infestation of unnatural plants, would be at fault and damages to the unsuspecting land owner would be in order. Not so! At least not in our kangaroo courts. Routinely the land owner is held liable for unwittingly “stealing” the patented plant that has invaded his property and destroyed his traditional crops. The idea that the corporation who failed to provide any control over their invasive species is out of the question. Here in the US we have “zero discharge” rules that allow no nitrogen or phosphorous runoff from animal operations. Of course acknowledging these rules makes the killing off of Chesapeake Bay from poultry litter that leaked into the bay somewhat of a sore spot for the promoters of concentrated industrialized feeding operations. All across the country where ever CAFO farms of any kind exist, they seem to do so without any over sight or adherence to the discharge rules as waterways and watersheds have become contaminated from phosphorus, phosphates and parasites now leaching into water supplies. Mountains of manure are now so contaminated with phosphates, hormones, vaccines, antibiotics, all of which are used in massive quantities to keep poultry and animals on their feet until slaughter, manure can no longer be used as a fertilizer as it has been for all of our agricultural history and is now classified as toxic waste. 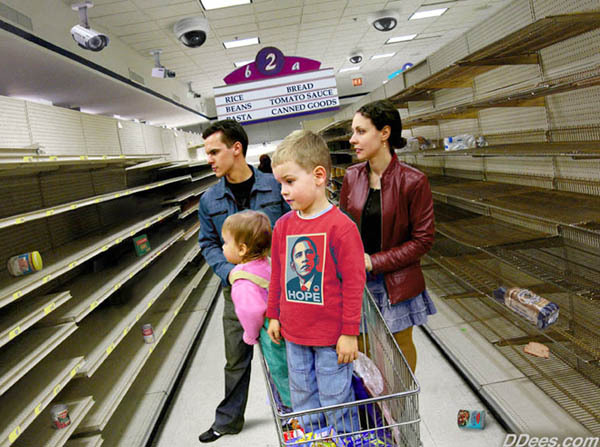 There is a food shortage coming….as planned. Stock up, hide your supplies and hope that you have enough put by to sustain you and yours. And please remember; it isn’t that we don’t have enough food for all….its just that a few million of us will have to be sacrificed to scare the rest of us into forfeiting our right to grow, harvest and sell our own food. Those in control, and those expecting to profit will stand idly by and watch and wait. These are the predators who watched as Haitian’s ate cardboard and dirt for lack of food, as 3 million Ethiopians walked to their deaths from starvation, as 100’s of children die each day for lack of food. Each of these events was noted by the UN and various governments as; “We are gravely concerned. It’s a sad day. We’re trying to come up with a plan. It saddens us to see this happen”….this while they shove food into their own mouths and turn away. Enviro-Pig® is a registered trademark used for Swine Feed Supplements, Medicated Swine Feed Additives, Vaccines For Swine, Pharmaceutical Preparations For the Treatment of Disease In Swine, and Swine Sperm Swine Eggs For Breeding Purposes, Swine Feed, Non-Medicated Swine Feed Additives, Swine Embryos, and Live Transgenic Swine Wholesale Distributorships Featuring Transgenic Swine, Swine Embryos, Swine Sperm, Swine Eggs, Swine Feed, Pharmaceutical Preparations For the Treatment of Disease In Swine, Vaccines For Swine, Swine Feed Supplements and Medicated and Non-Medicated Swine Feed Additives Animal Breeding and Insemination Services, Namely, Transgenic Swine Breeding, Artificial Insemination of Swine, Implantation of Genetic Material Into Swine, Implantation of Genetic Material Into Swine Eggs, Implantation of Genetic Material Into Swine Sperm, Implantation of Genetic Material Into Swine Embryos, Technical Consultation and Advice Regarding Transgenic Swine Breeding and Transgenic Swine Production, Production of Transgenic Swine, Swine Eggs, Swine Sperm, Swine Embryos, Swine Feed, Swine Feed Supplements and Swine Medicated and Non-Medicated Feed Additives and Pharmaceutical Preparations For Swine To the Order and Specification of Others and owned by Ontario Pork Producers Marketing Board. As I detailled in the book, Seeds of Destruction, in 1960 the Rockefeller Foundation, John D. Rockefeller III’s Agriculture Development Council and the Ford Foundation joined forces to create the International Rice Research Institute (IRRI) in Los Baños, the Philippines.1 By 1971, the Rockefeller Foundation’s IRRI, along with their Mexico-based International Maize and Wheat Improvement Center and two other Rockefeller and Ford Foundation-created international research centers, the IITA for tropical agriculture, Nigeria, and IRRI for rice, Philippines, combined to form a global Consultative Group on International Agriculture Research (CGIAR). F. William Engdahl is the author of Seeds of Destruction, the Hidden Agenda of Genetic Manipulation just released by Global Research. He also the author of A Century of War: Anglo-American Oil Politics and the New World Order, Pluto Press Ltd.. To contact by e-mail: info@engdahl.oilgeopolitics.net.